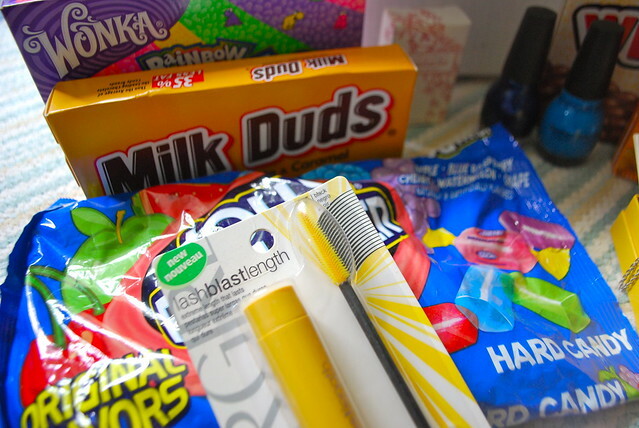 While I was in California, I fell in love with all the different bits of makeup and candy that you just can’t get here in England. To cut a long story short, this spawned a package swap with my dear blogger friend Kate who lives in California, near San Fransisco. 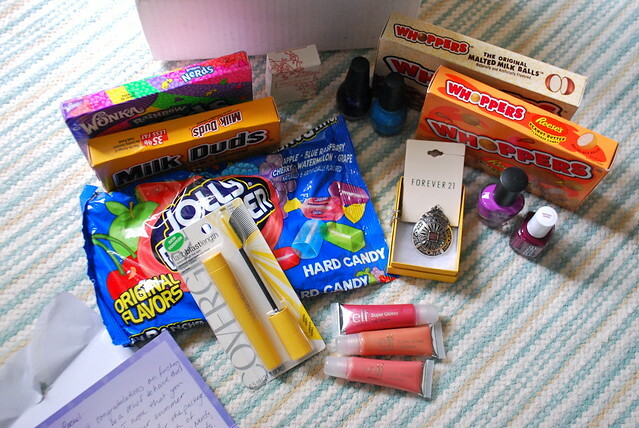 She sends me supplies of my favourite candy, Essie nail polish and lots of little surprises from America, and I send her little bits of UK only makeup to try, traditional sweets and goodies I bring back from France! This is our second package swap – I was to excited to rip the first one open to remember I wanted to photograph it for a blog post! Wonka Nerds (one of my favourites, you used to be able to buy them everywhere in the UK, but now only for jawbreaking prices in specialist places like Selfridges, and not in big mixed boxes like this! Milk Duds – Really, really amazing hard caramel balls covered in candy chocolate. 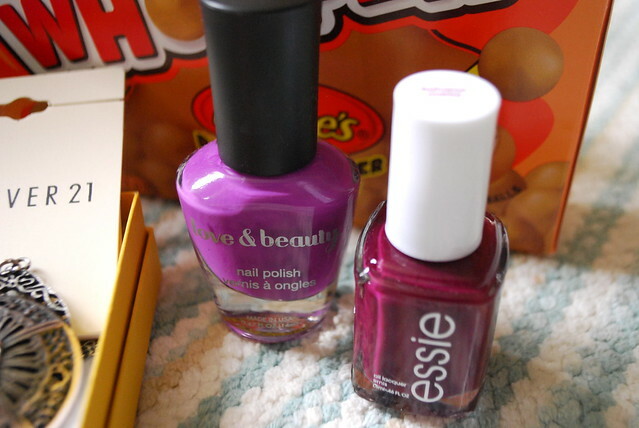 Jolly Ranchers – Hard Candy, I love these so much I’ve dedicated an entire post to them, coming soon! I’ve wanted to try this Covergirl Lash Blast Length mascara for ages (my obsession with their Blast collection is well documented) and they’d sold out when I went to California. How could I not love NYLON magazine and not want to try the mascara that is always splashed across its pages? I can’t wait to try it! 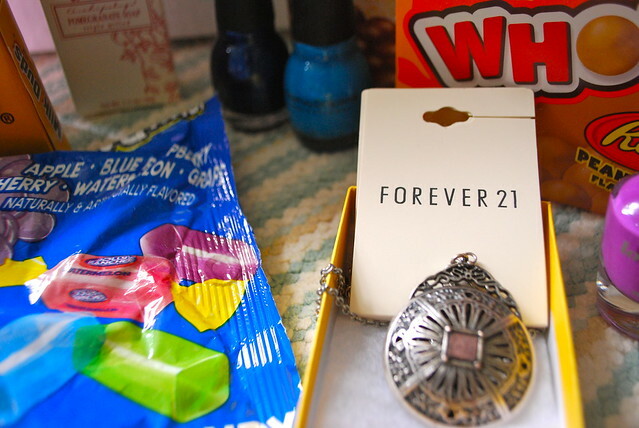 I absolutely love this necklace she sent me from Forever 21, and I can’t wait to show it off in an outfit post. I’ve heard great things about Forever 21 jewellery, but I can’t see myself getting near the new Oxford Street store anytime soon without getting crushed! 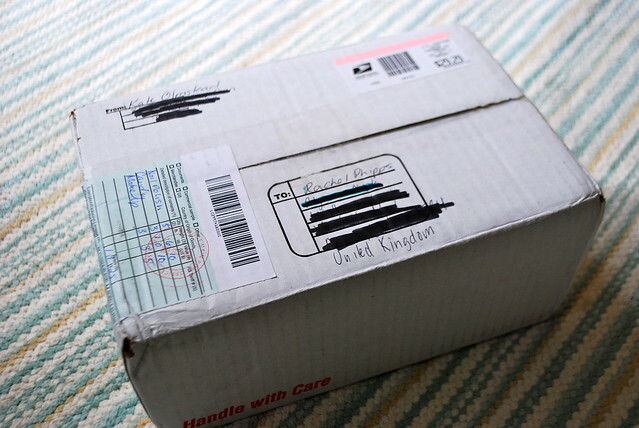 Do any of you take part in package exchanges with friends abroad?